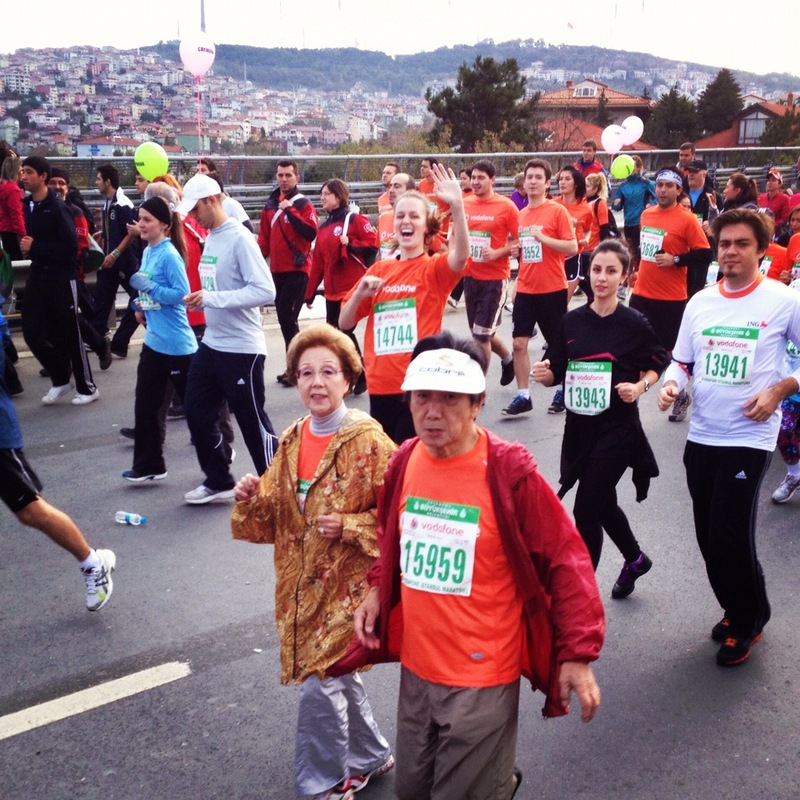 While in Istanbul this past weekend, I was able to participate in a unique and exciting event: the Istanbul Marathon (Avrasya Maratonu) ! 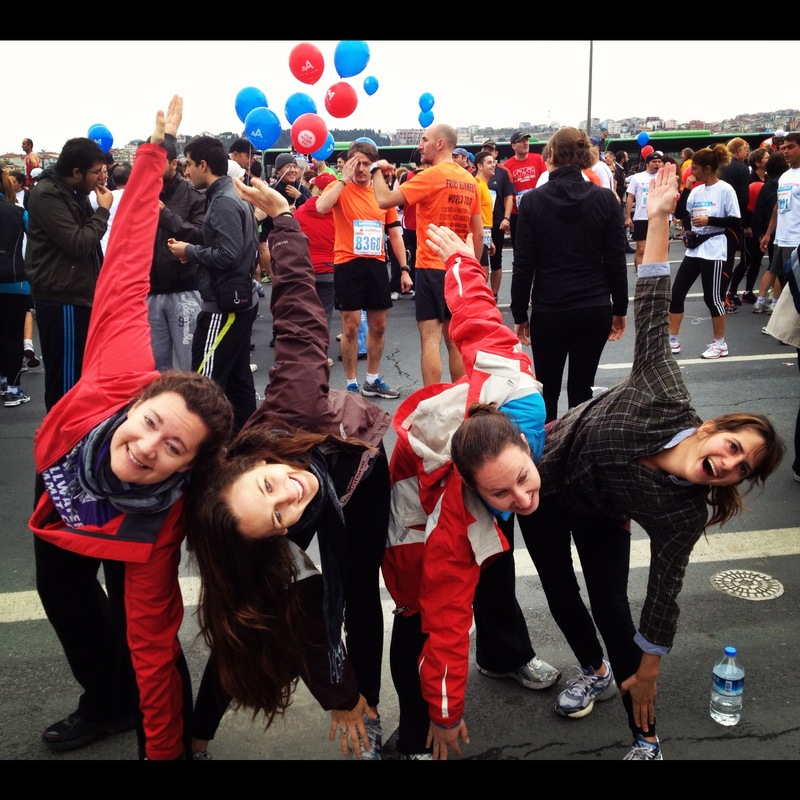 Unlike many of my friends, I’m no marathoner. But fortunately for me, there was a less-intense leg of the race that was 8 kilometers (about 5 miles) instead of 42 km (26 miles), and in which running consistently and competitively was not enforced. 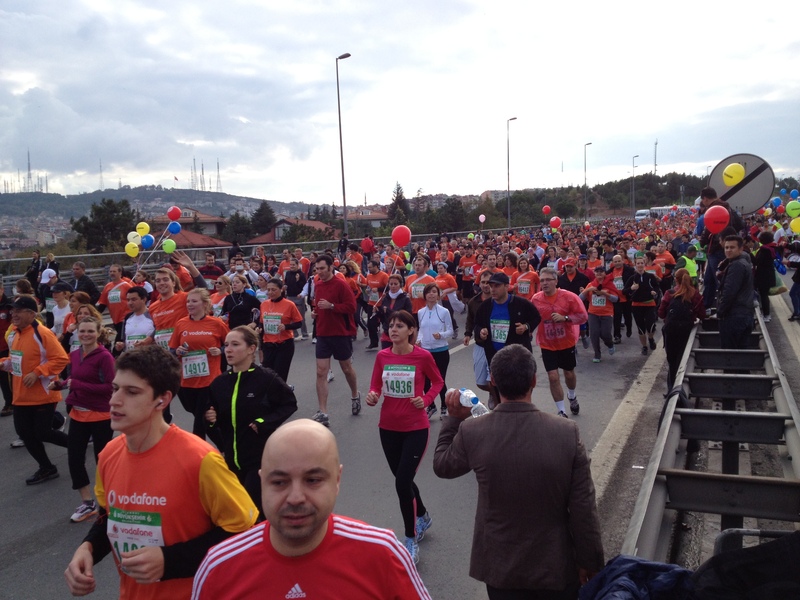 There were a large number of Fulbrighters in town for the event, some of whom ran the 15 km and some of whom ran the 8 km, as well as others that walked the course. It’s always nice catching up with everyone and comparing daily adventures. 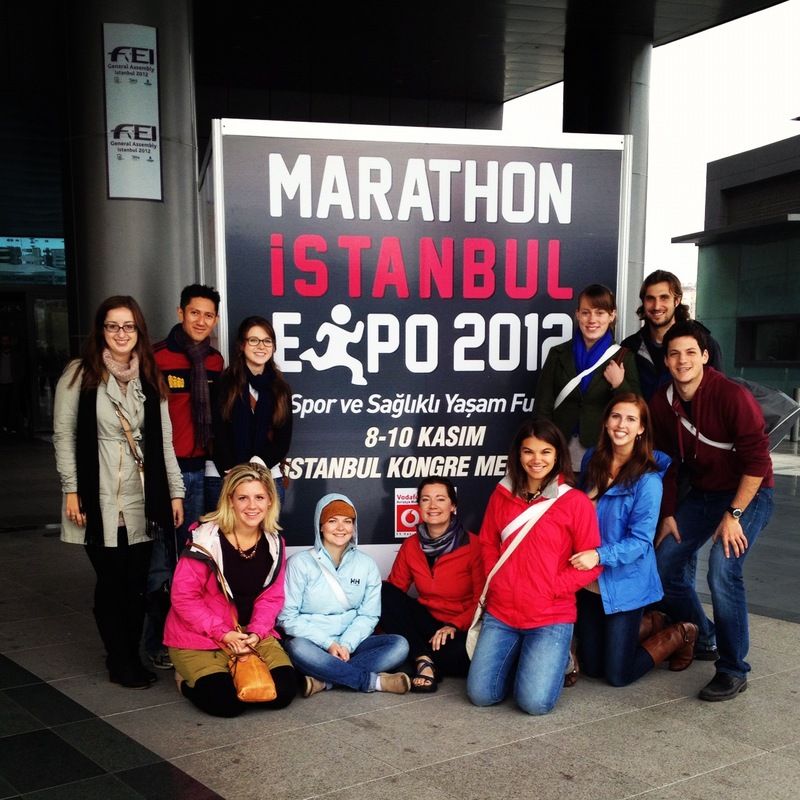 The most exciting aspect of this marathon was that we all started out on the Asian side of Istanbul. 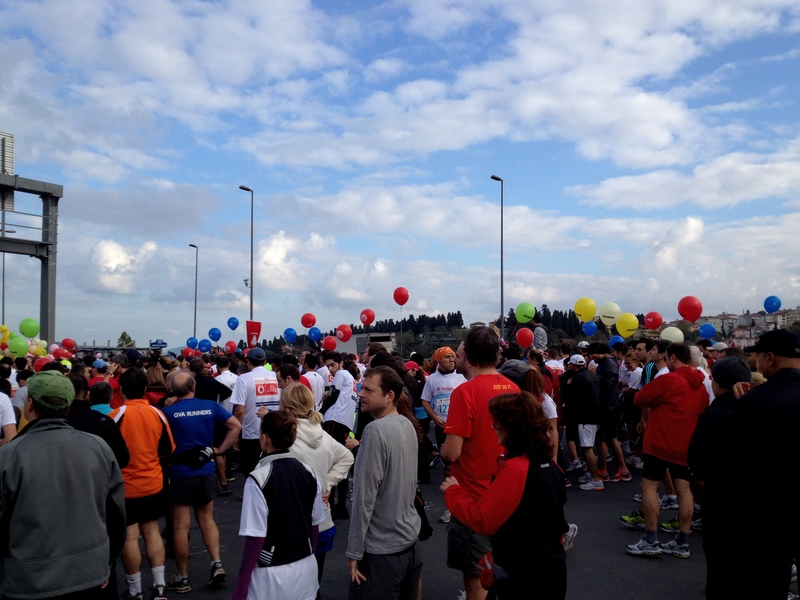 We gathered in Taksim Square (European side) early Sunday morning and took shuttle buses to the starting line. 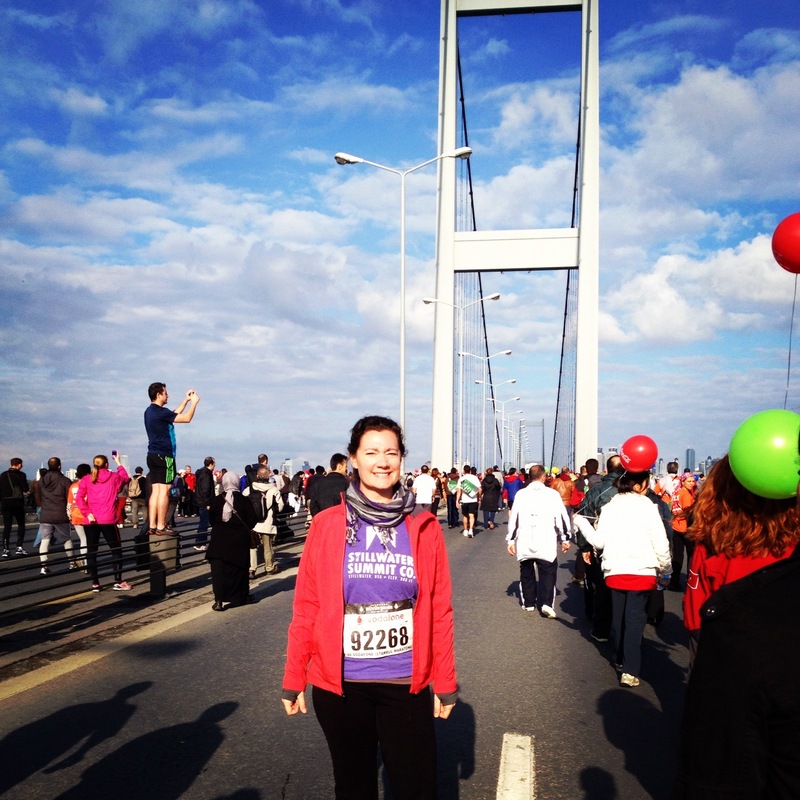 On this day only, Bosphorus Bridge, the bridge connecting Asia and Europe, was open to pedestrians, allowing us all to cross from one continent to the other on foot. 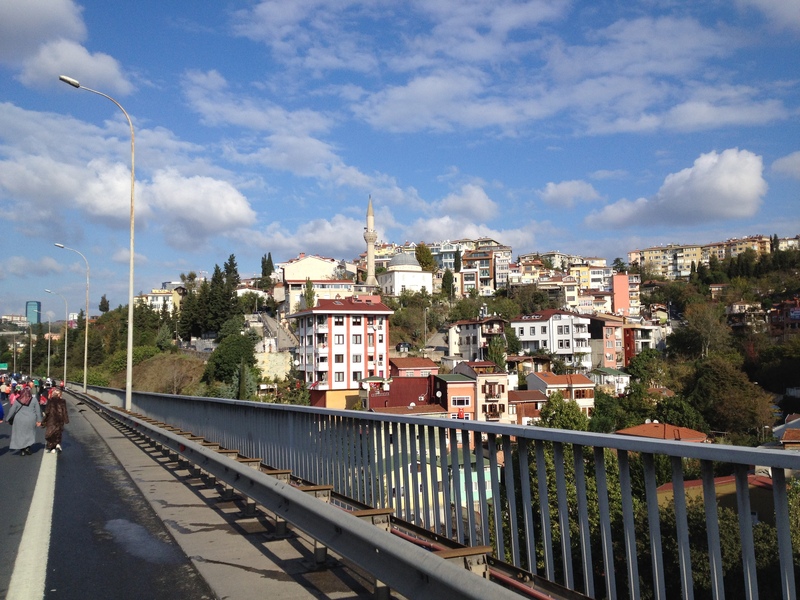 Istanbul is an incredible city in so many ways. Besides being the second most populated city in the world within its city limits, with 13.5 million inhabitants (and more like 17 million in the area), it is also the only city in the world to straddle two continents. 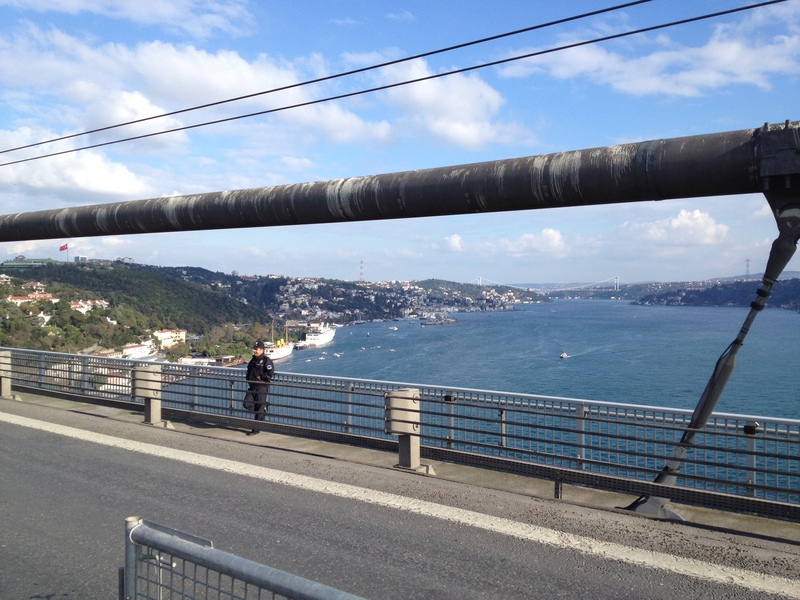 The Bosphorus Straight connects the Sea of Marmara and the Black Sea, and is one of the busiest waterways in the world. Istanbul is also the only city to have served as capital of two consecutive empires, Christian and Islamic. The population is diverse, the history is astounding, and sights, smells, sounds and tastes throughout town are exotic, stimulating and wonderful. I teamed up with three other friends and we enjoyed the journey, stopping occasionally to take photos and to observe other participants. 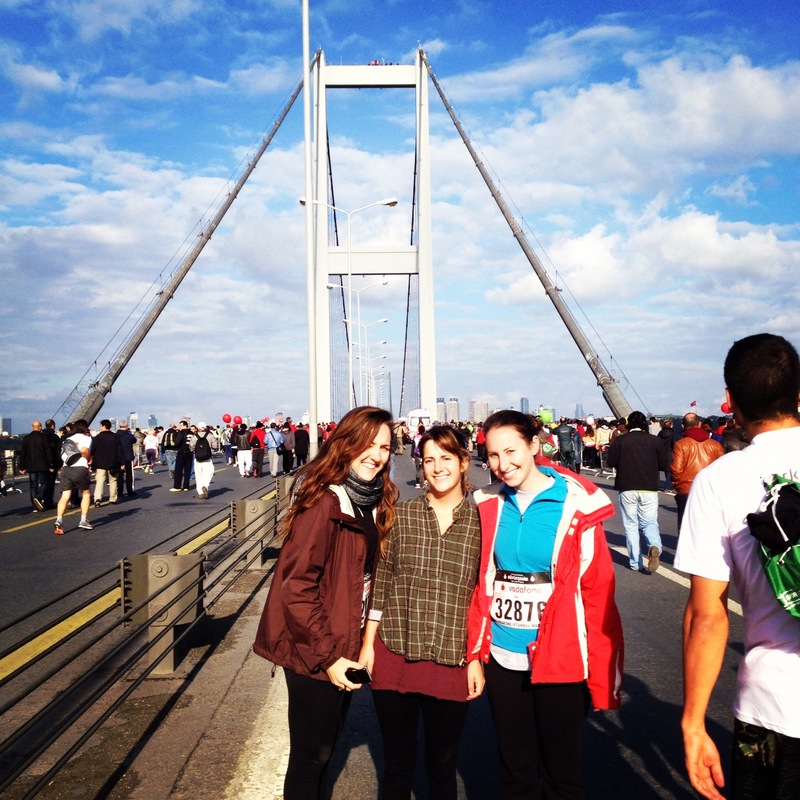 We were committed to running the length of the Bosphorus Bridge, since this is one of those things very few people in the world will ever have the chance to do. The day before had been laden with heavy rainfall, but by 9:30 on Sunday morning, the sun was out and shining strong. The view was gorgeous, and it was a thrill to be in such a mix– athletes and non-athletes alike had come from around the world to participate. 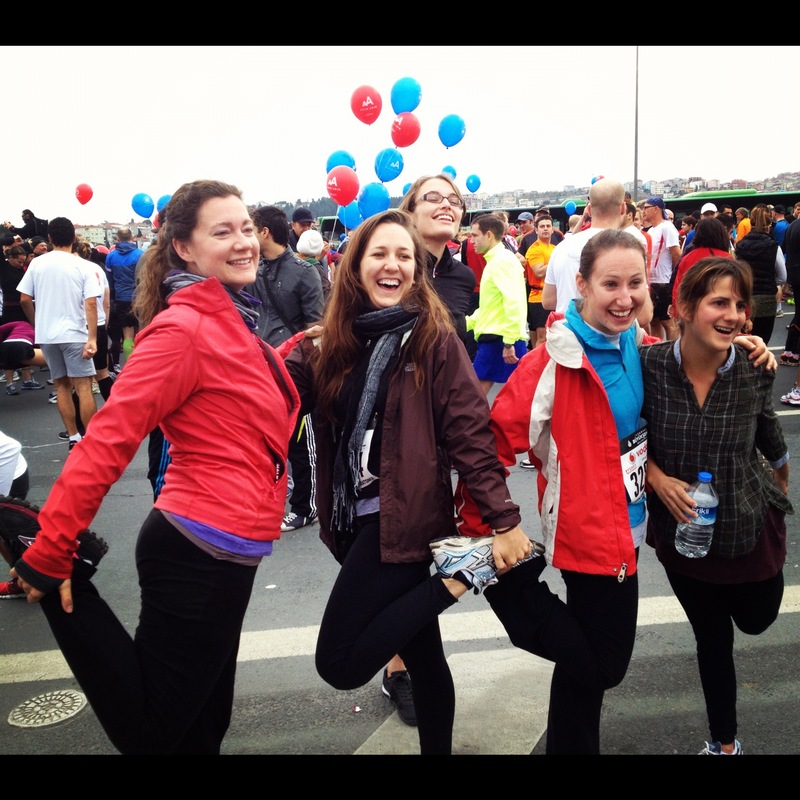 We were among friends, some of whom had been training extensively and had competitive personal goals, others who were looking forward to enjoying the stroll. 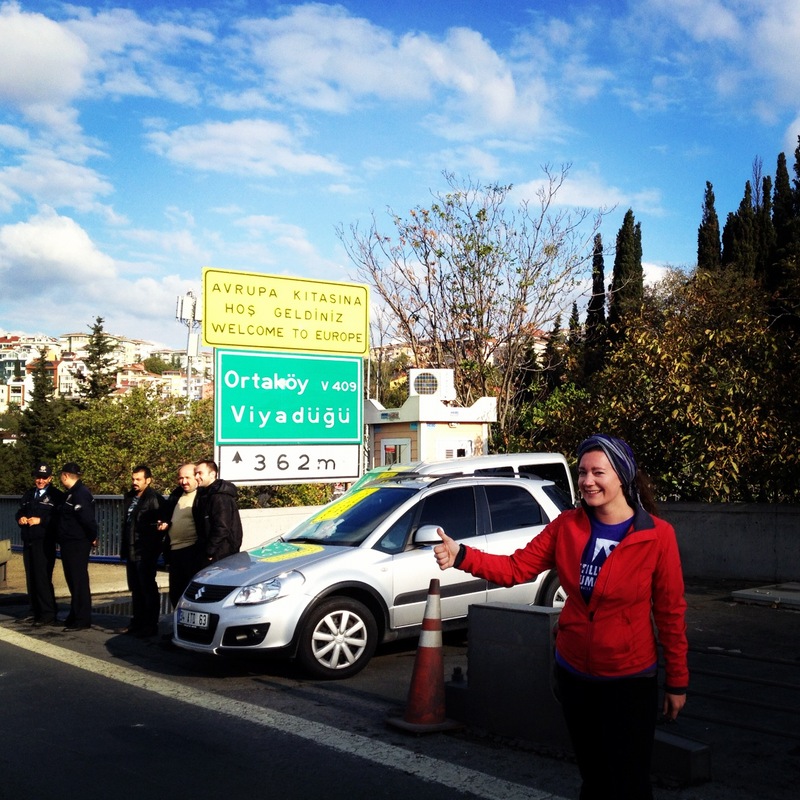 The day was gorgeous, and we were crossing borders, crossing continents, merging culture with sport, socializing with physical activity, and we were all a part of something historical. 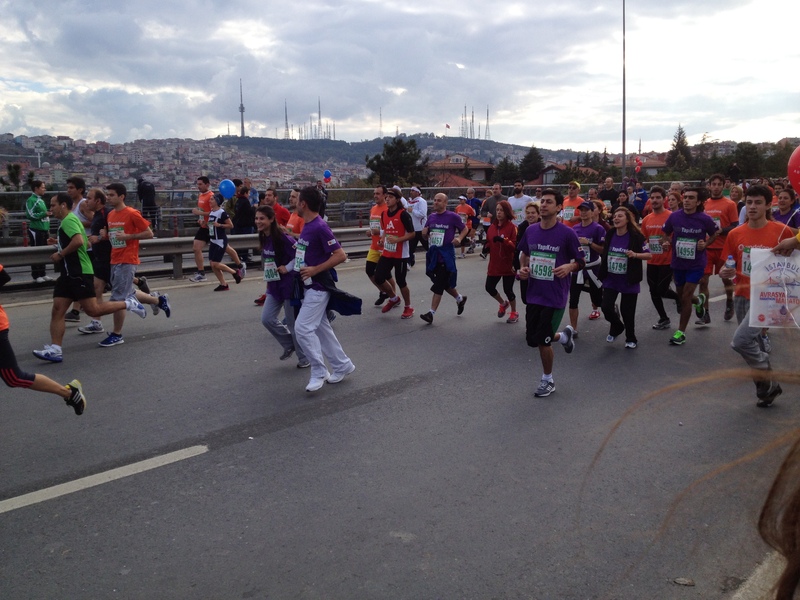 After about an hour, our group of four ran through the 8 km finish line, just in front of İnönü Stadium, the main playing field of football club Beşiktaş, in the neighborhood on the European side of Istanbul with the same name. What an accomplishment! What fun! And we still had the rest of the day in front of us to enjoy more of this magical city.